Houses & Homes VA: Have you heard of “Jade Helm 15”? Have you heard of “Jade Helm 15”? Considering all of the controversy surrounding this “special operation”, I assume that most Americans have heard something about it by now. Simply stated, Jade Helm 15 is a training exercise for our military unlike anything that has ever been done before. Special force units from 4 branches of our military will be carrying out training exercises in multiple states and many U.S. citizens are quite nervous about this situation. This is the largest scale exercise in history in this country and many patriotic Americans insist that it is not what it appears to be. First of all, the states of Texas and Utah are deemed as “hostile” in the supposed simulation and many citizens honestly feel that this is not a practice drill at all but an attempt to declare martial law in many areas. 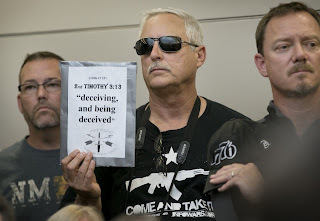 The reason for the “charade” is to force Americans to relinquish any firearms that they may have in their homes according to many conspiracy theorist supporters. By this time you may well be laughing at the very thought of such an occurrence but I can assure you that many of our citizens are taking this situation quite seriously. Texas Governor Greg Abbott is one of many that disapprove of such a large deployment of U.S. troops on our own soil. He disagrees so much in fact that he has ordered the Texas State Guard to “monitor” federal troops during the so called exercise. Does this all sound like a bit of unnecessary “paranoia” to you? Perhaps, but the internet is “buzzing” with rumors of conspiracies involving the highest levels of our government and possibly the illuminati itself. Some of the gossip states that foreign fighters from the Islamic State will be “involved” in the training exercise. Other theories insist that this is the first step to a “new world order” in which we are sure to lose all of our constitutional freedoms. Still others believe that this is the beginning of the apocalypse as referenced in the book of Revelations in the Christian bible. Everyone seems to have their own opinion of such a large “occupation” by our own military within our own borders. Whether you believe that this is some sort of “military takeover” of the U.S. or not, an operation of this scale has never been attempted on our very own soil before and even if it is done with the “best of intentions” the cost to tax payers must be staggering. This is one aspect of the exercise that I have not heard anyone comment on as of yet. What do you think of Jade Helm 15?